The Mercado de San Miguel is a food lover’s delight and a public market you must visit if in Madrid, Spain. 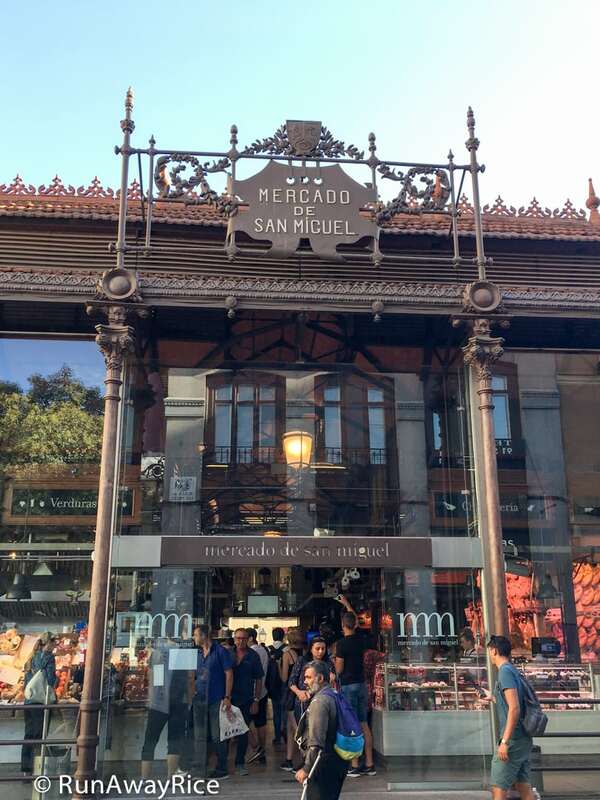 Located in the heart of Madrid, the Mercado de San Miguel resides in a beautiful building with intricate ironwork and large glass walls enticing the passerby to the wonderful delicacies awaiting inside this gourmet market. 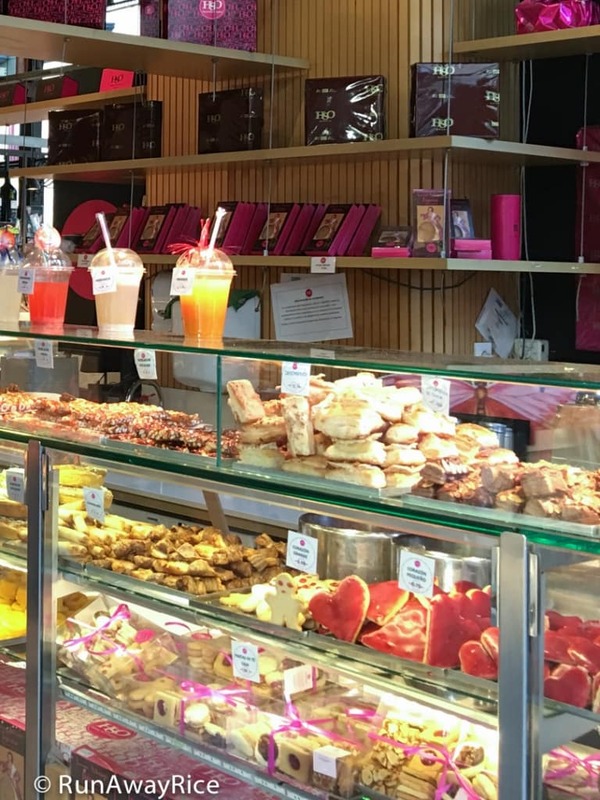 The large space inside is filled with small eateries and stalls offering specialty foods, drinks, fresh produce and more. 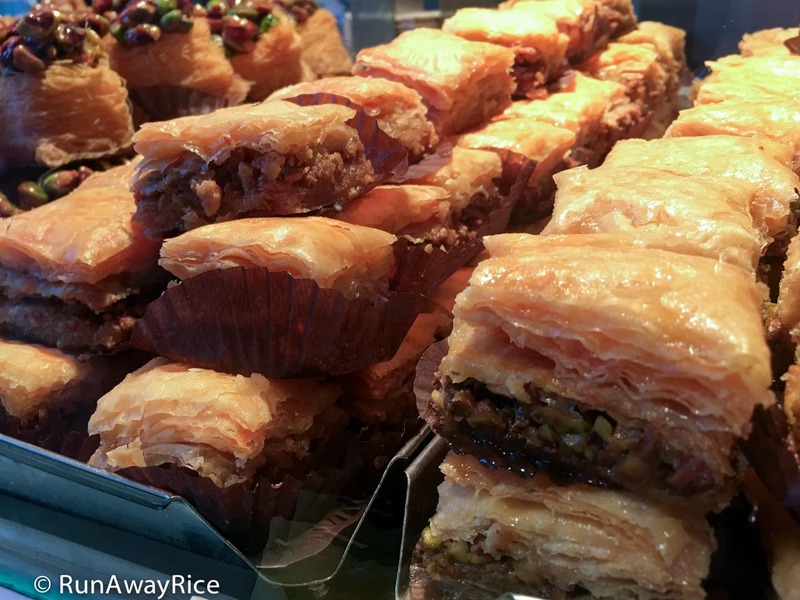 Browse the market and try some of the amazing foods. 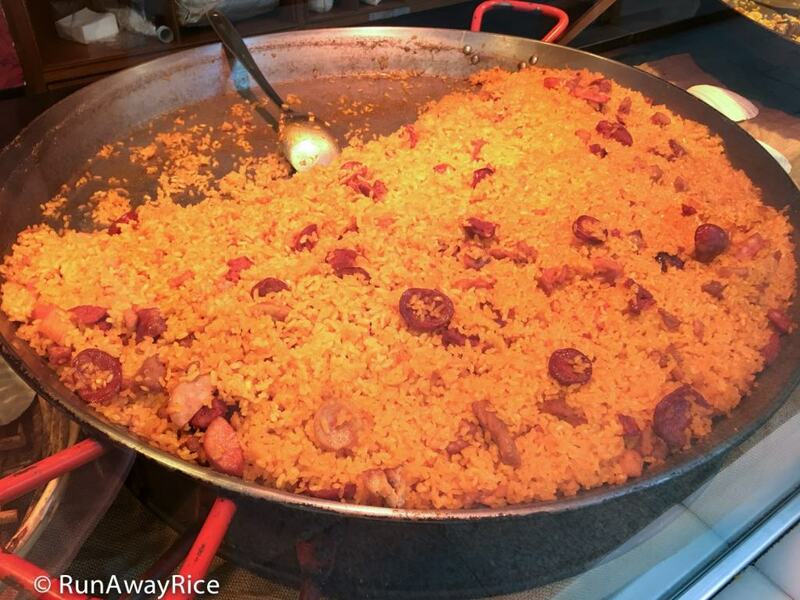 It’ll be a memorable introduction to Spanish gastronomy. 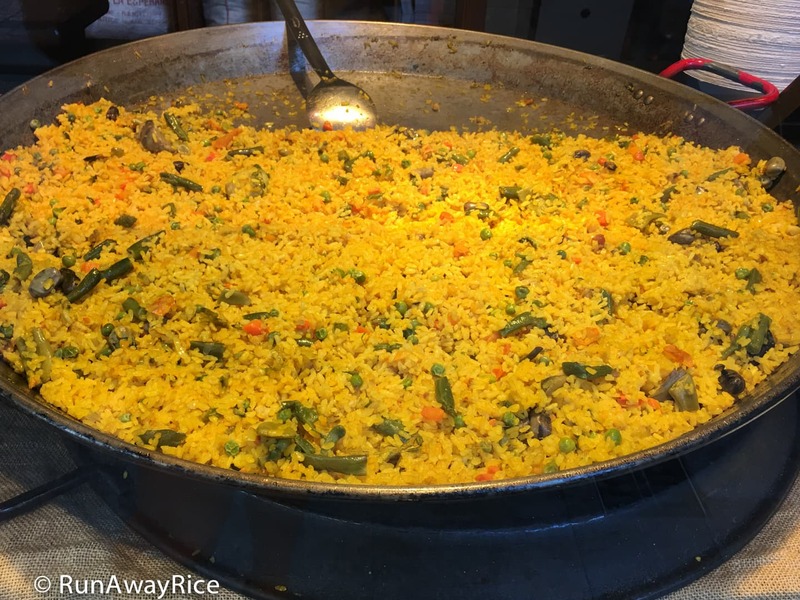 My stay in Madrid was short, just 2 days, but once I heard about the Mercado de San Miguel, I had to check it out. 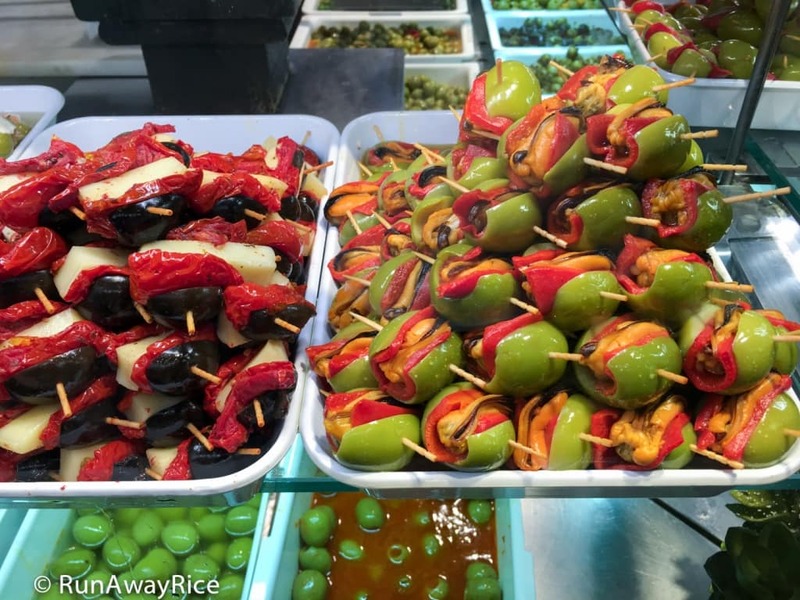 San Miguel Market is different from many food markets in that it caters to the foodie. 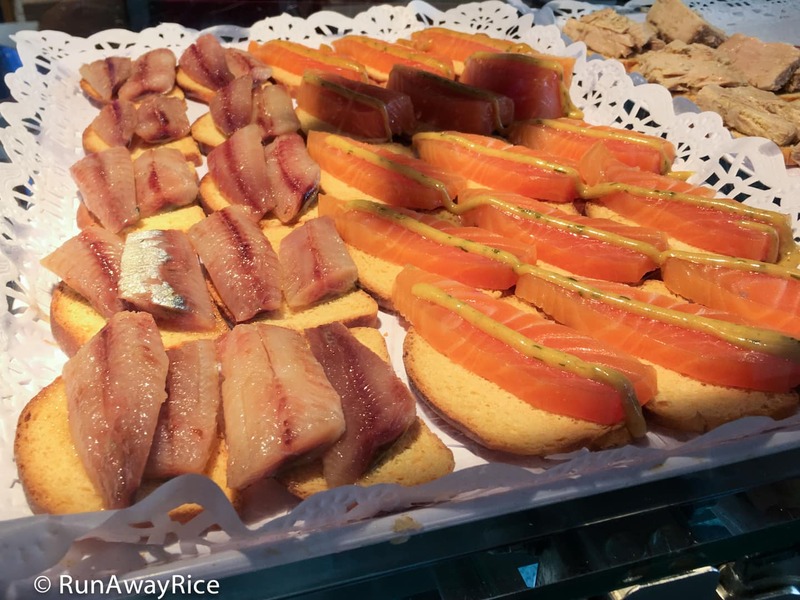 The foods are unique and trendy, freshly prepared and beautifully presented. 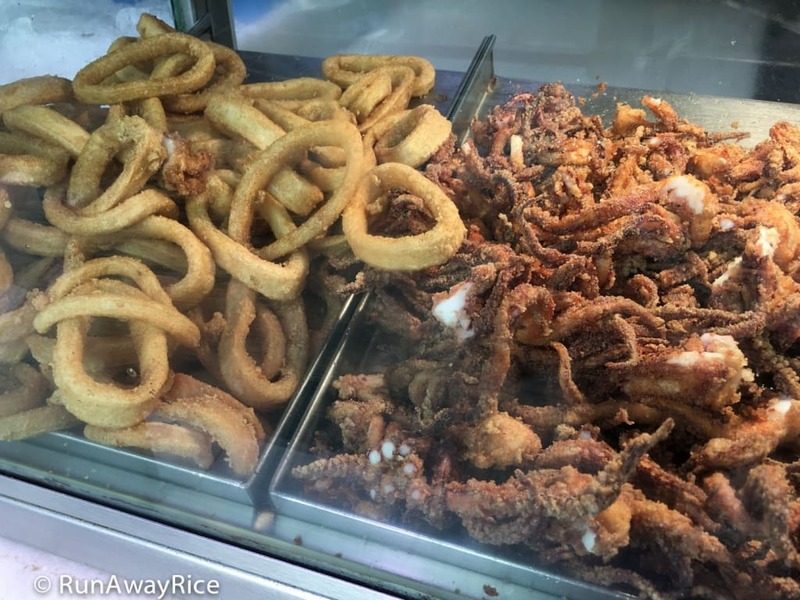 The atmosphere of the market is energetic and lively making it a really fun place to seek new food experiences and have a wonderful time. After all, who doesn’t love to nosh and socialize? I started by taking a quick tour of the building to get a sense for the size of the market and the abundant food offerings. In my mind, I was short-listing some foods I wanted to try. There are so many tantalizing foods which makes it really difficult to decide. 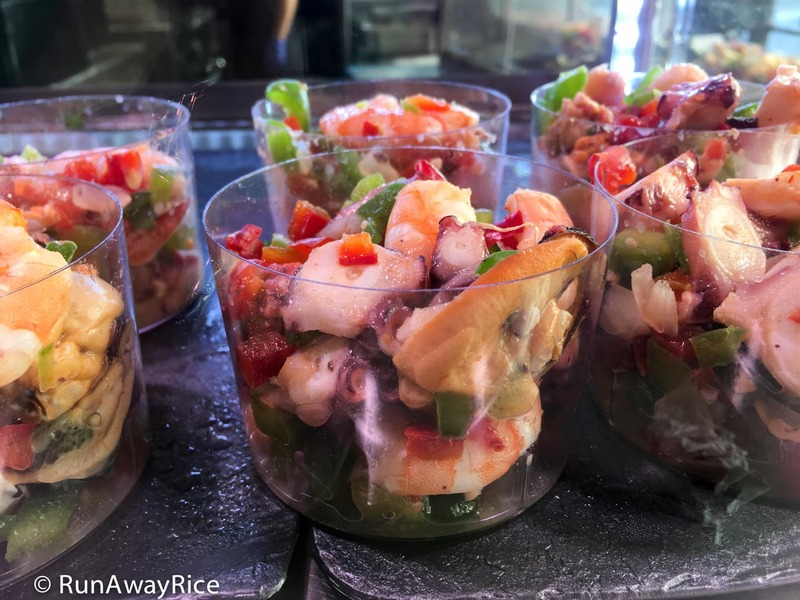 Seafood was definitely the feature at the Mercado de San Miguel. 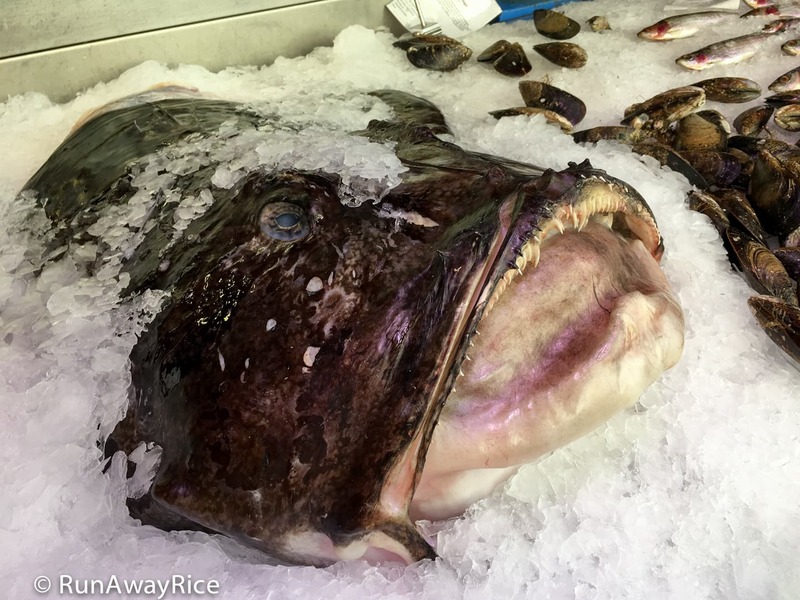 The food stands displayed overflowing amounts of fresh fish and seafood as well as prepared foods featuring raw, smoked and cooked seafood. This shredded fish, called Gulas, was really interesting. 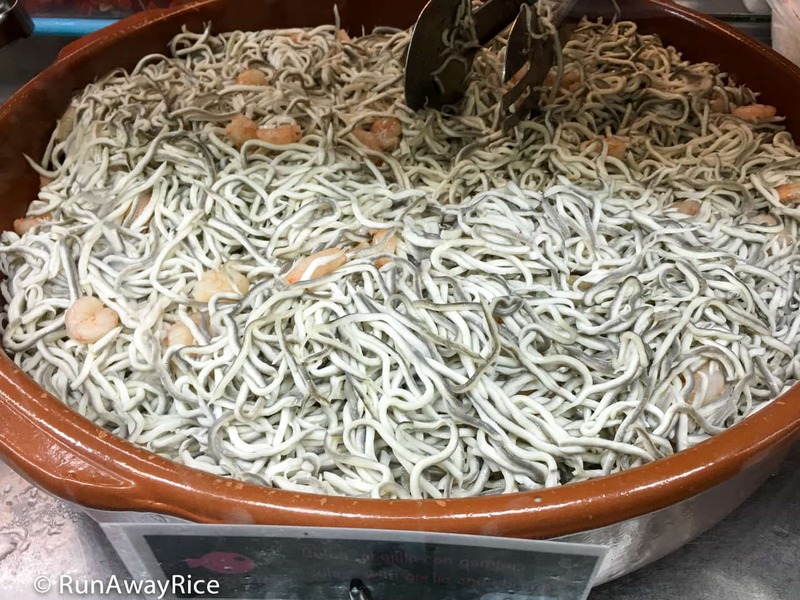 At first glance, it looked like noodles but upon closer examination, like tiny eels. 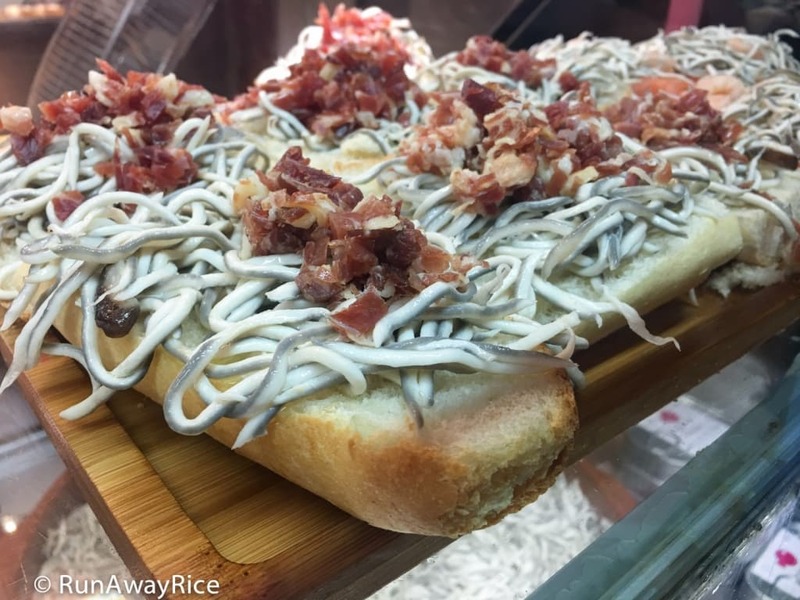 It’s actually shredded Alaskan Pollock. You can purchase it by weight or sample it on some crusty bread. Yum! 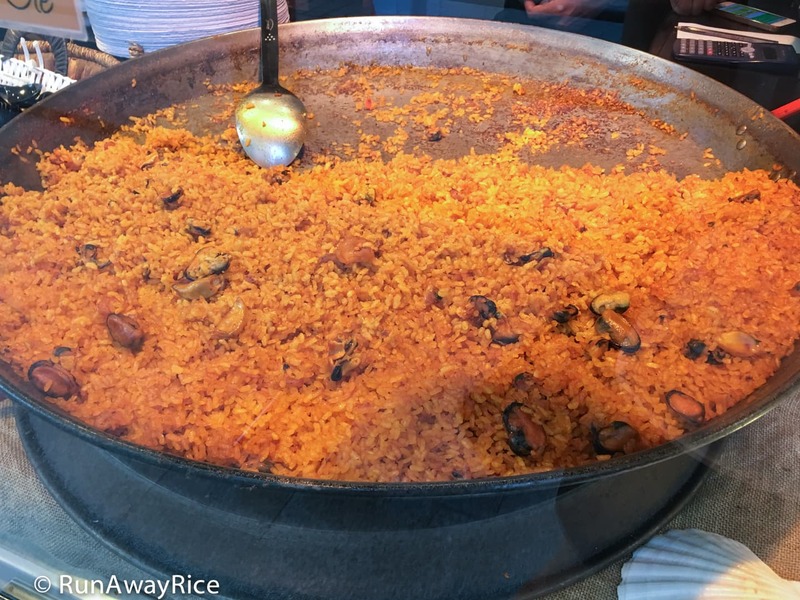 A trip to Spain wouldn’t be complete without enjoying some delicious paella. This eatery offered several different varieties. What a great way to try them all! 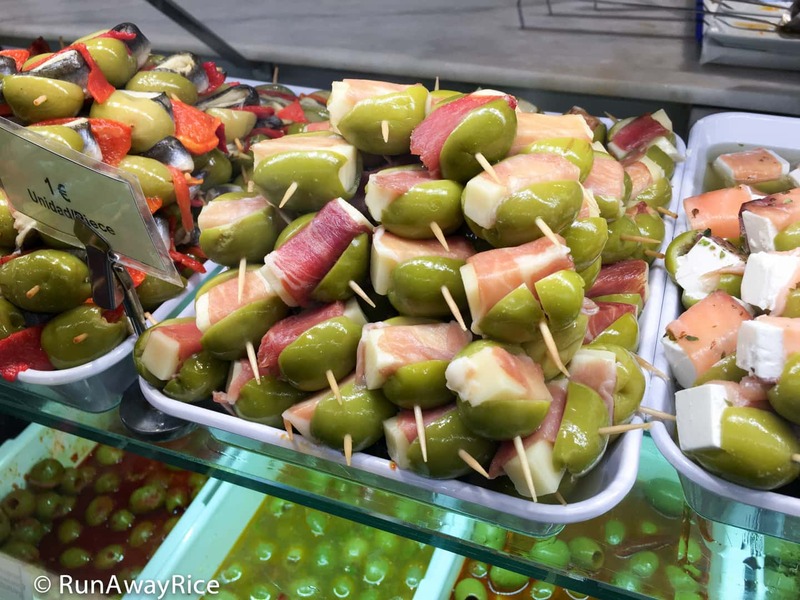 I am a huge fan of pickled foods and absolutely love marinated olives. Guess how many of these I sampled? 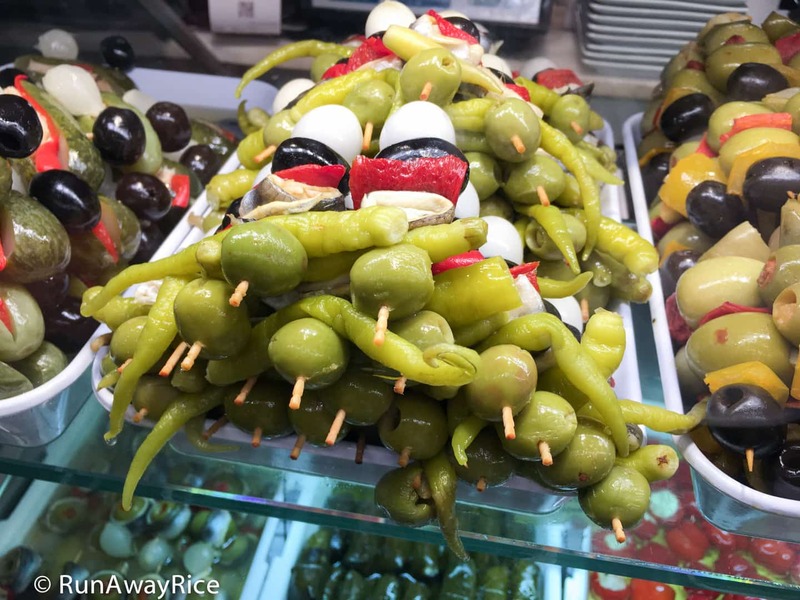 The green olives stuffed with mussels were my favorite! The eateries and food stalls aren’t organized in any way so I let my taste buds guide me. I tried a lot of savory items but left plenty of room for dessert. 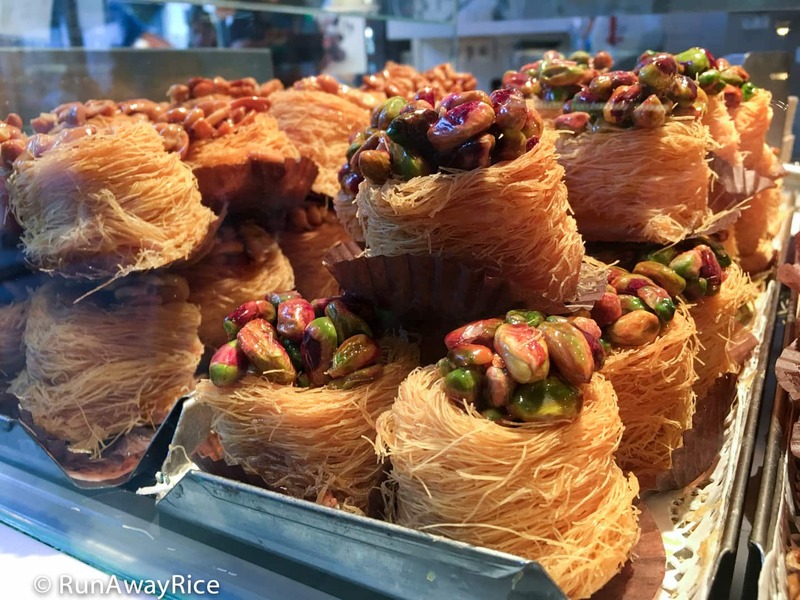 There were so many irresistible sweet treats. The “bird’s nest” pastries are really eye-catching and so creative. 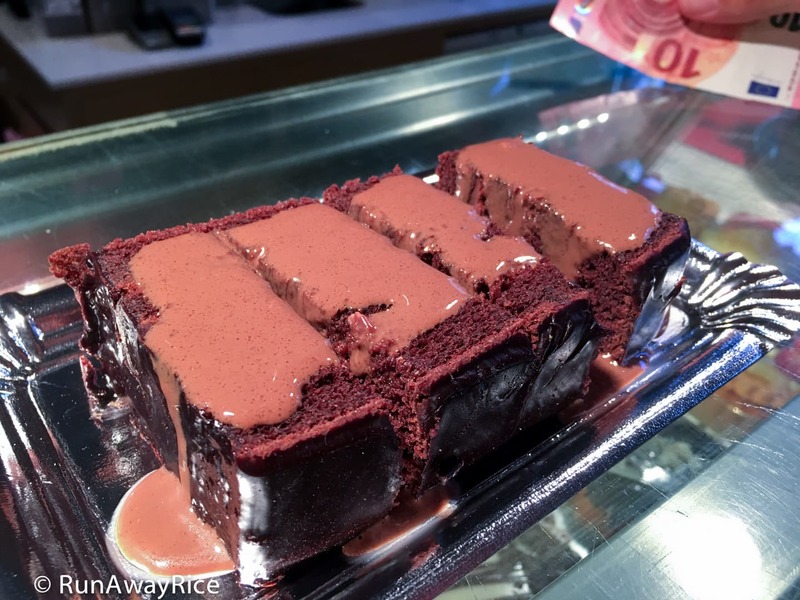 I finished my visit to the Mercado de San Miguel by indulging in a huge slice of chocolate cake drizzled with a light chocolate sauce. It was the perfect sweet treat to round out this awesome trip. This is truly a unique gourmet market. If you’re in Madrid, Spain, I highly recommend visiting. Bring some friends so you can sample the amazing eats together. The portions are generous and perfect for sharing. Have a wonderful time! If you have a chance to visit the Mercado de San Miguel, I’d love to hear about it. Share your comments below. 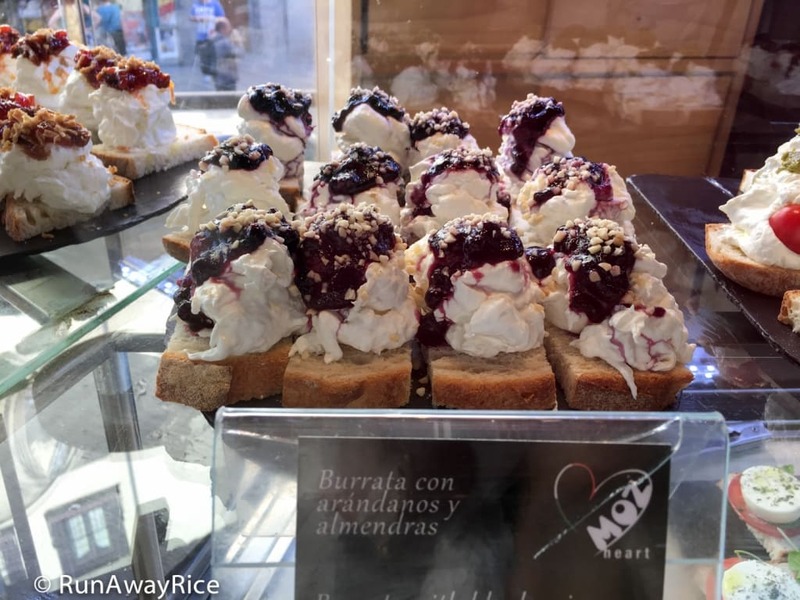 Like this post on the Mercado de San Miguel? 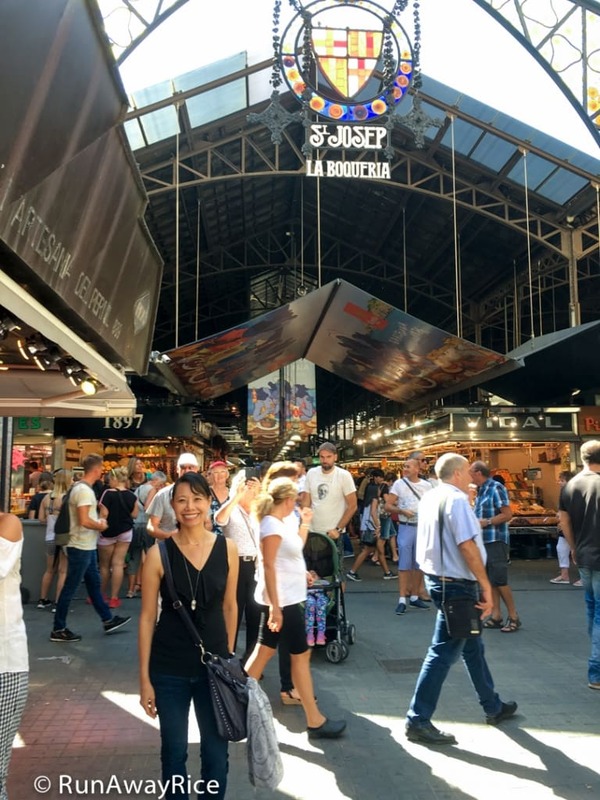 Check out my trip to La Boqueria Market in Barcelona, Spain. Thank you for sharing. This is definitely on my bucket list. I really hope you get a chance to visit someday!